We’ve known since this summer that Lois Lane would be making her Arrowverse debut in The CW’s Elseworlds crossover this winter. Ever since Elizabeth Tulloch was cast in the role, fans have been curious to see how her approach to the character would stack up against the likes of Margot Kidder and Amy Adams. To tease the upcoming event, Superman actor Tyler Hoechlin has shared the first look at his character alongside Tulloch’s Lois. You can check out the photo via Instagram below. Melissa Benoist previously shared a behind-the-scenes photo of herself, Hoechlin, and Tulloch on a set that looks a lot like the Kent Farm in Smallville. This new image, however, is markedly different. The icy background suggests that the characters are standing in the Fortress of Solitude. Plus, Lois’ wardrobe resembles the royal Kryptonian garb worn by Susannah York’s Lara in the 1978 Superman film. 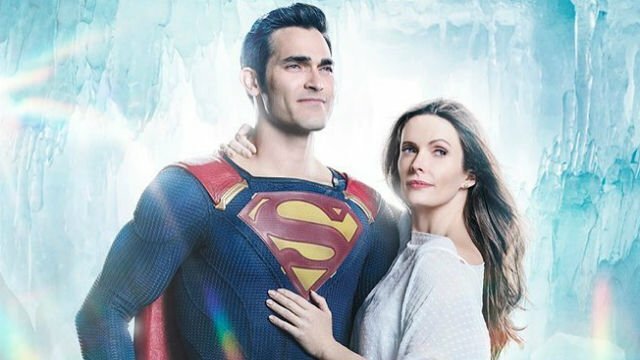 Since the Elseworlds title implies that the characters will be visiting parallel realities, it’s possible that Lois and Clark will travel to a plane of existence where Krypton wasn’t destroyed. Elseworlds plans on introducing several other DC Comics fixtures into the Arrowverse. The crossover will see Stephen Amell’s Green Arrow, Grant Gustin’s Flash, and Benoist’s Supergirl visiting Gotham City to investigate an otherworldly incident at Arkham Asylum. Batman won’t make an appearance, but we’ll be seeing another pointy-eared costumed adventurer in the form of Ruby Rose’s Batwoman. Other characters making appearances include Nora Fries (Cassandra Jean Amell) and The Monitor (LaMonica Garrett). Additionally, John Wesley Shipp will be reprising his role as The Flash from the 1990s live-action series. The Elseworlds crossover event will take place over three nights, kicking off with an episode of The Flash on December 9. What do you think of the first official look at Elizabeth Tulloch’s Lois Lane? Give us your impressions in the comment section below!